CHURCH HILL, Va. — Bride-to-be and proud Church Hill resident Sarah Mahoney has begun uninviting friends to her wedding after learning of their decision to move to Midlothian, The Peedmont learned Monday. Both Mahoney and her fiancée Raymond Pollack have lived in Church Hill for the past seven years and claim to have no plans of ever leaving. Their wedding, scheduled to take place this fall at Chimborazo Park, was purported to be a grand affair in the making. However, the two no longer expect all of their friends will make it to the big day. Mahoney began scouring social media and even hired a private investigator to determine how many other invitees might have similar thoughts of fleeing Church Hill for a one-horse town surrounded by car dealerships. Mahoney’s feelings of betrayal deepened as she considered the prospect of having to drive 15 minutes to visit her former friends. “They might as well have moved to Botswana,” Mahoney said at the thought of having to have brunch at Denny’s. 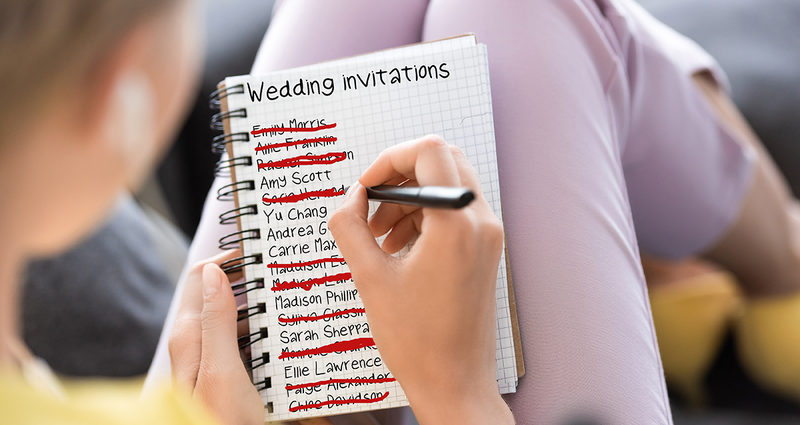 After a thorough cleansing, the wedding list was reduced by more than half. Mahoney’s fiancée was taken aback by his partner’s sudden decision but wanted to make sure his future wife was happy. At press time, eyewitnesses reported that Mahoney had since disinvited her fiancée after discovering he had been googling houses in the Midlothian area and planned on “going stag” to her own wedding. Swing by our online store before you go back to looking at cat memes or whatever it is you do all day.